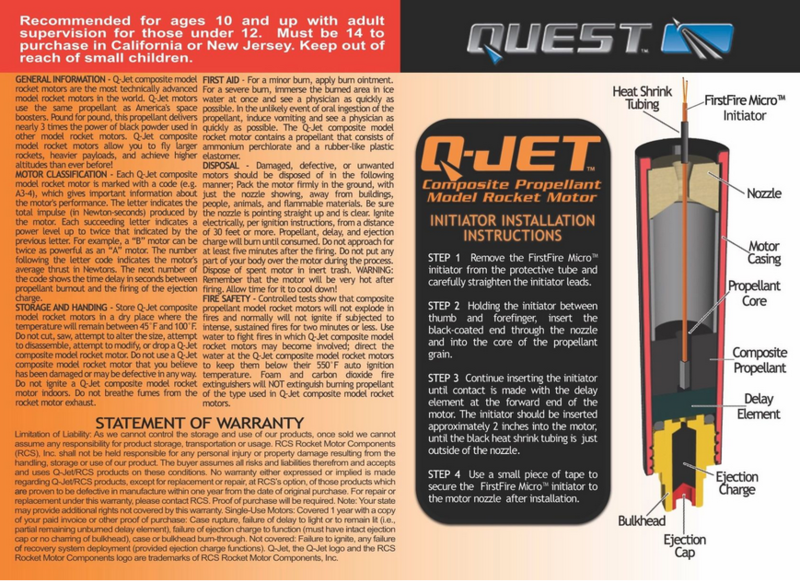 The Q-Jets are the world’s most advanced 18mm model rocket motors. 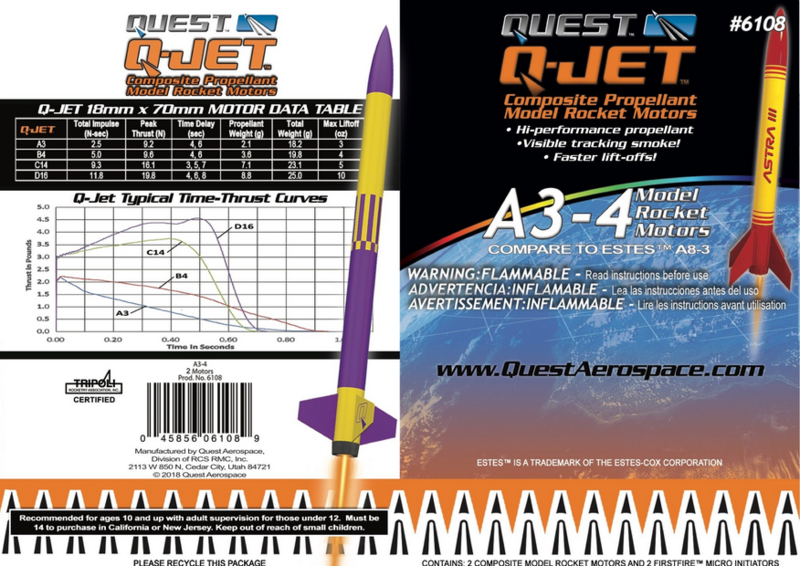 They utilize a patent pending high-strength polymer case and bulkhead, ceramic nozzle and RCSs exclusive Black Max™ aerospace- grade composite propellant formulation, which produces nearly double the specific impulse (or “Isp”, a propellant efficiency rating) of conventional black powder propellant. 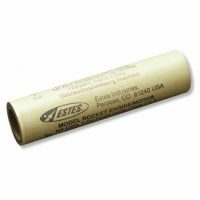 They are not susceptible to thermal cycling like black powder motors. 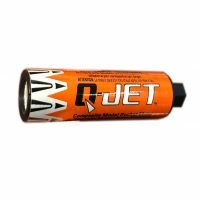 Q-Jets generate a highly-visible exhaust plume and delay smoke trail. 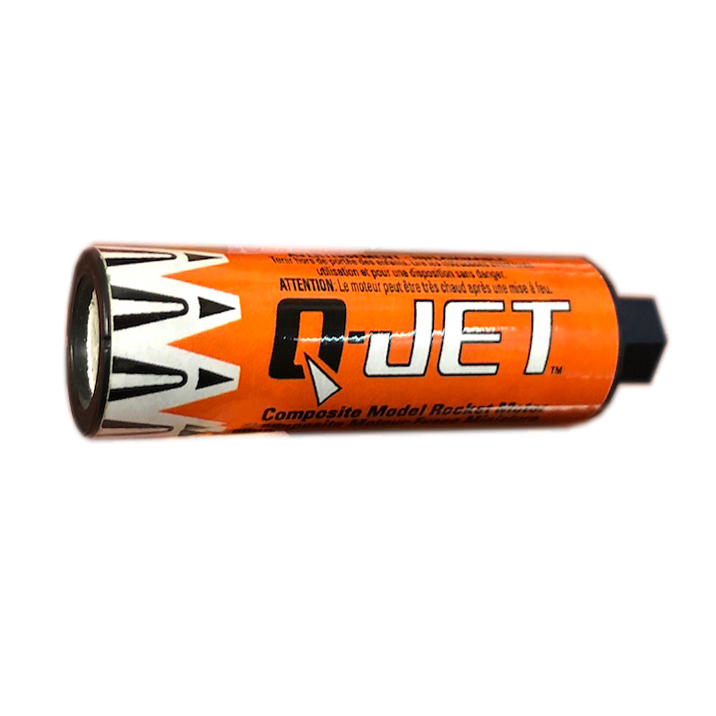 All Q-Jets ship with a FirstFire Micro™ 2-lead igniter, which can be used with any launch controller.